I’ve been quiet on the old WP blog recently, this is only due to a migration from my old website to a new system with Squarespace, which has allowed me to import my entire blog from here, into my new website! I won’t be closing this blog/account, so I am still reachable with your messages and comments, but I will be posting from my new website at www.adamplowden.com so please go and check it out! It was an early morning, up ahead of myself and Glen was a wedding at Wasing Park, Berkshire. A venue that I have never shot at before, I had no idea what to expect, but armed with the GH4, Metabones Speedbooster and fast lenses I was sure to capture the couples day in style. The style lacked in my ride.. Quentin, my 15 year old Corsa is having major clutch trouble so amongst the effing, blinding and aggressive gear changes we rocked up at St Pauls, Wokingham. In the pouring rain. It was an exceptional service, the mister was wonderful, one of the best I have had the pleasure of worked with, as were the the stunning couple. In the church I had a strategic position up ahead of the couple shooting down, so on the 35-100mm F/2.8 & GH4 I framed a great shot of both the bride and groom with a stunning bokeh in the background. One benefit of shooting on MFT is that the depth of field is greater than full frame, as in you can position more subjects in the depths of the composition (Z-space, slightly further back or forward) without them being blurred or distorted by bokeh in the background if you’re shooting very shallow. So, in this scenario I was able to get closer to the couple by using the GH4 because of it’s 2x focal length multiplication with the MFT sensor, as well as framing a gorgeous close op of the bride with the groom still in focus. After the ceremony, and a damp confetti shot we headed to the reception venue Wasing Park. That was not before having to open up my bonnet 3 times to try and adjust my clutch to actually be able to put in into first gear…. A long drive up a winding country entrance road lead to what I am thinking to be an old manor house and farm, which is now a wedding and event venue in between Reading and Newbury. Thank you sunshine for making your appearance as we arrived at the venue! As it is now October now, mother nature gave the cue for a cold wind, so in essence there was a chill in the air at this wedding despite a warm golden hour. The GH4 dealt brilliantly with mixed white balances from indoor tungsten light in a pavilion and autumnal daylight through wall-size french windows, and the sweet spots around 4300K, a medium DoF and increased focal distance provided a comfortable filming style, while staying intimate but unobtrusive. Coming to the speeches, I shot on a 12-35mm F/2.8 for a wide and 35-100 F/2.8 for an MCU of the speaker. This is probably the only place the GH4 has a downfall, it is definitely not a low light camera like the A7s, and with a heavily back-lit and mixed white balanced setting the camera struggled. In a situation of changing exposure and white balance it is always better to carry on recording rather than continually cut, adjust the settings, and resume filming as in the edit it will be easier to achieve continuity across the shots in one scene. For the first dance, my magic arm broke.. So I was down to one camera, while Glen was shooting a reverse angle on the 12-35mm and Sigma 18-35mm F/1.8 ART and Metabones Speedbooster. We struggled with light, so I used an LED light panel to push some fill in there, for both myself and the photographer. Overall a great day, the GH4 is definitely geared towards videography and filming with its variety of video-orientated features such as levelling, zebras, peaking and 4k of course, but it struggled in the low light and creating that big bokek look that so many of us have been accustomed to. The highlights should be up in a couple of weeks and I’ll share it then! Shout out to Paul Rogers, the photographer we were working with today. It was great working with Paul, and his documentary style of photography I believe will result on some nice photos. Thinking of making the jump to 4K? You are in the same boat as me.. Having bought my 5D mkIII last December, there was no accessible 4K option until the Panasonic GH4 made its appearance in the Spring. I was devastated. Having invested heavily in Canon gear, any future move I make will need to fit with my current EF mount lenses, not to mention everything else such as batteries, memory cards and my overall production workflow. (EOS HD comparison between the cameras). Sensor size: The A7s is full frame, the GH4 is MFT. 4K in camera: The GH4 can record 4K internally, the A7s requires an external recorder such as an Odyssey or Shogun. 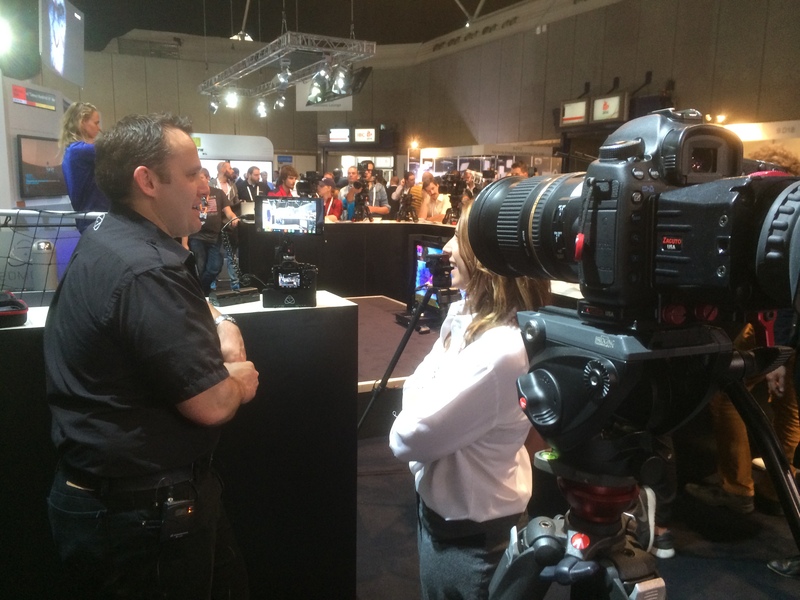 Jeromy, CEO of Atomos talking to me and Sam from The IABM about new products and the IBC Show. Now, many people will be arguing that what does the increased resolution allow you to do, that HD doesn’t? The image produced from the 5D is great; good in low light, versatile, fits my style of filming… But it also has big downfalls for being a DSLR, and not a video camera. Something that is unique about these two cameras is that their ‘out of the box’ functionality has been fine tuned for video applications, as well as high end photography. This is what Canon has left behind in their non Cinema line cameras, and Magic Lantern has struck gold on with their firmware hack enabling awesome video functions. I have only recently installed ML on my 5D mkIII due to the current firmware on the camera. It was shipped with version 1.2.3, I was hesitant to downgrade the firmware and was patient in waiting for ML to develop a tested and working version for 1.2.3. Now having access to on screen aid such as waveform monitors and audio levels make such a difference, and restart movie for the longer filming durations is great. It turns your ‘photography’ camera into basically a video camera. For my type of videography, the benefits of having not only 4K, but a wider range of options for recording will allow me to crop and downscale any 4K acquisition to HD and hold incredible picture detail, dynamic range and depth of field. 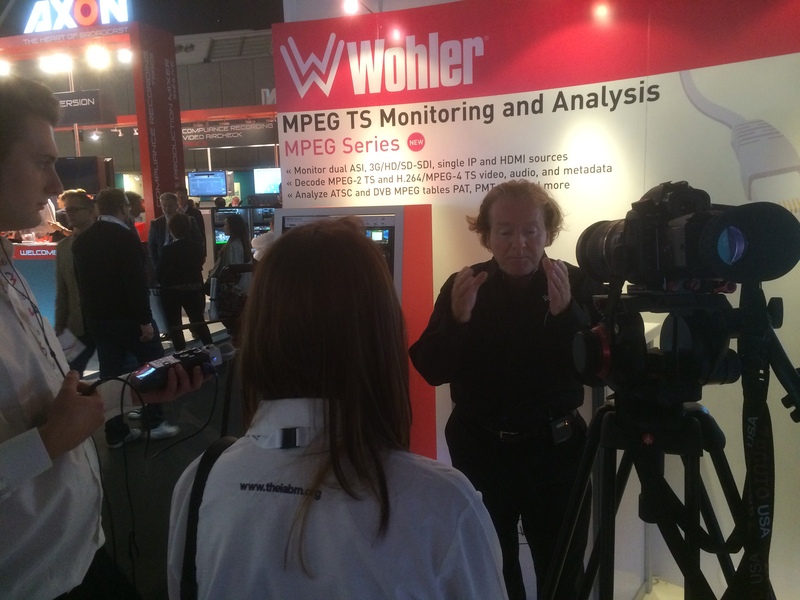 The recording bit rates are higher, meaning more data is stored for post production editing, compositing or grading. Lastly, it should increase the production value of what I produce. Now, I am not stating that better equipment makes better videos. It does give you the opportunity to step up with what you can do in your work, and especially as it keeps you up to date in a world of ever changing and improving technology. So, what is my investment cost? This is dependent on your current shooting kit, and whether you can merge your current system with a new one. Perhaps you already shoot Sony or Panny, so you’re in luck. For me, all my lenses are Canon EF mount, some are electronic, others are manual, so an adapter would be needed in my case. The price of this is dependent on the glass you use, or are going to use. Let’s look at the Panasonic GH4 to start with. I did have the Samyang 12mm T/2, realizing it does not come in MFT mount.. So the above would be my option. I have used it before, it has great OIS and has a decent depth of field for an F/5.6 equivalent lens. 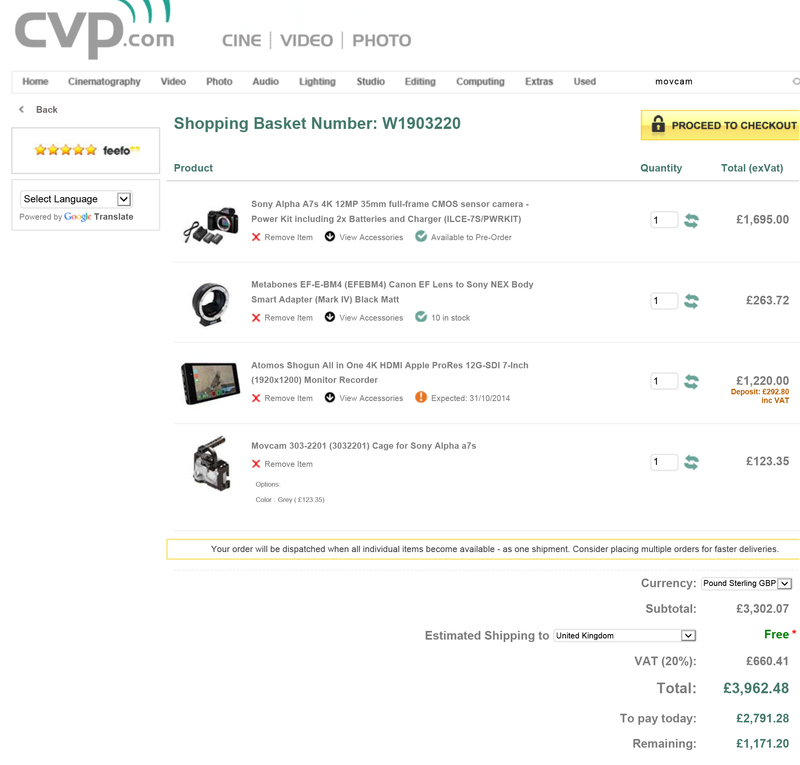 That £1930 was pretty much the same price I paid for the 5D mkIII body only. Also, as the A7s is compact in size, a cage is required to make it more accessible with the recorder and mics etc. (All prices are including VAT from CVP). Now.. I’ve shot on the Panasonic GH4 and I like it. When I’ve talked to Panasonic reps about the product they all had the same comment that Panasonic listened to videographers, and you can tell. The available recording formats and codecs allow a range of uses for the camera, and the features it packs into its tiny form are perfect for those that already utilize DSLR for video. Personally, and this is very subjective to the way I was filming when using the camera, the captured video looked like video. Some will understand what I mean, others won’t, but for those that have been shooting on a full frame camera, the ‘look’ is there. Obviously the sensor plays a large part in that, but if I purchased a GH4 kit outright (disregarding my current EF mount lenses).. I would purchase the Voightlander 25mm and the trusted Samyang cine lenses which might just combat the ‘look’ issue I feel like I have. As well as high quality ND filters so my shutter can remain at 1/50th. What am I going to do then? My dad taught me something really great; good things come to those who wait. In other words, have patience. As others test out, review and produce videos using the GH4 and A7s (and other cameras that pop up here and there), I will be closer to making my decision. For now, I know to hold off. A good thing for me to do would be to road test both cameras, work it with all of it’s video functions and produce a couple of vids that I can look back on. 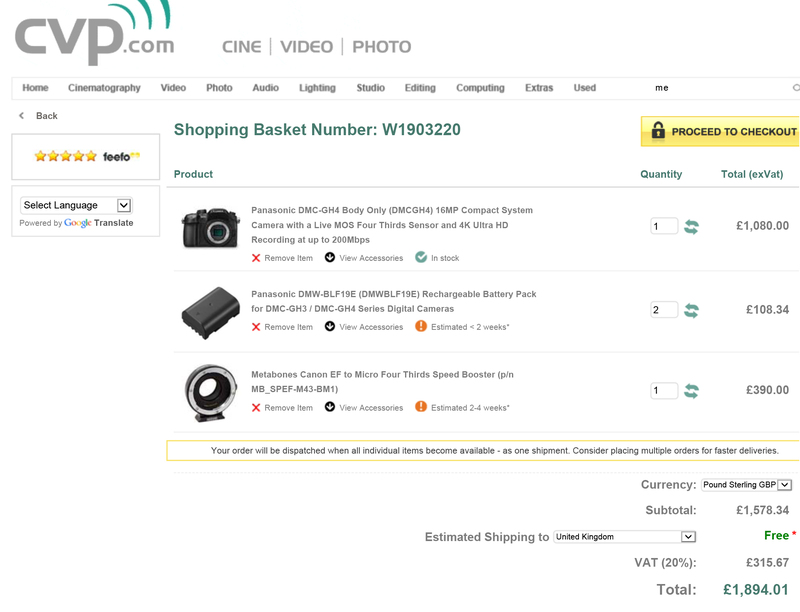 The folks at Park Camera’s are great at in store demos, but I can also wait for BVE in Feb 2015. So, I can frustratingly wait a little longer for my jump to the next innovation of video production and delivery. 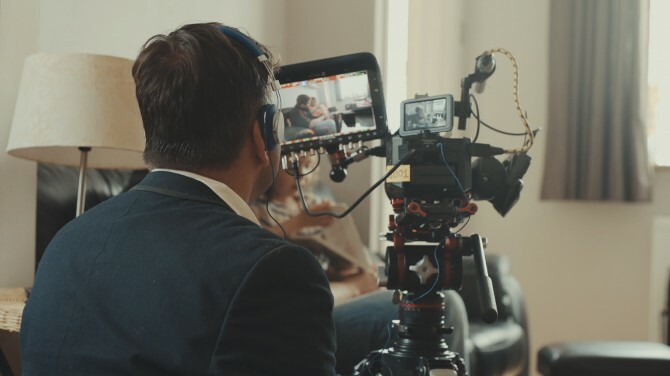 In the mean time I can always look at Blackmagic Design’s options that shoot 4K, as well as the Apertus AXIOM modular camera, and keep the new Arri Alexa 65 and RED Dragon for my dreams. 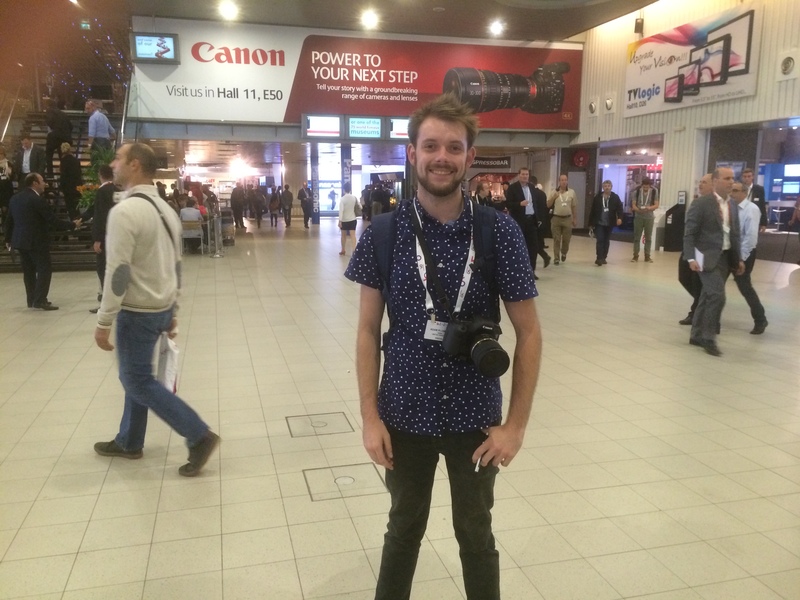 Five things I wish I knew when I started as a videographer…. 1. It does not matter what camera you use, invest wisely in reliable glass. Entitled ‘F**k with nature and nature f**ks with you’, after previewing it appears it loads as a playlist, so please skip down to the bottom! Shot on my first DSLR; Nikon D5000 and 17-50mm F/3.5 -5.6, a uni project. 2. Work for free (yes, it’s the only way you’ll generate enough video content, but you’ll make friends, have a good laugh, experience terrible mistakes and awesome times). 3. Fix it in post doesn’t exist, in fact, trying to fix it in post can do more harm than good (at least with low budget DSLR productions like mine still are.. For now..). I had to return to Sian Williams’ house because I had over exposed a shot, and didn’t get good enough sound during her interview.. Produced by Adam Plowden Videography, ‘Behind The Scenes’ uni project and mini web series. 4. Think of the sound and the light, our primary senses for absorbing content. 5. Be yourself and create things that inspire you.. IE: Put you in your work. Copying other artists doesn’t make you stand out, you can learn from them and implement your flair and style into whatever you do. That way, when you begin to get clients you know they are interested in not just what you make, but the person behind it. A personal favorite is filming plants and nature, a good excuse to get away from the computer! ‘Waterhouse’ produced by Adam Plowden Videography. Bonus tip. It is kind of included as part of No.2: Collaborate and work with others from different mediums; actors, musicians, vfx artists etc. It is how new ideas are generated! SYNC is HaZ Dulull’s new short film, I worked with him as well as DP Adam Batchelor on the production! 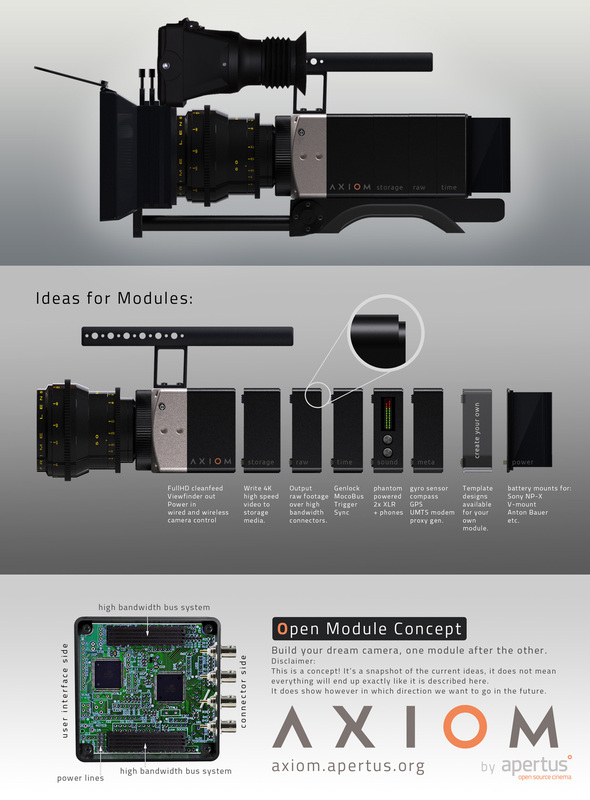 It is backed by Blackmagic Design, Adobe, HP and more so give some support!!! 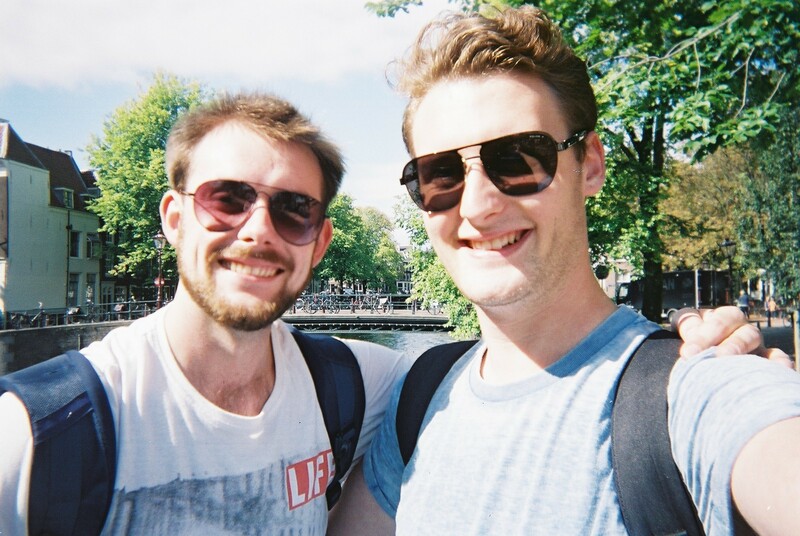 Adam and Glen 1st day in Amsterdam for IBC 2014! Taken on a disposable camera by Glen Symes. I hope these little tips will serve you well, a shout out to Dave Beck at Avenger and John Harris at John Harris Media too I couldn’t have done it without you! And Glen and Sam. Much love. 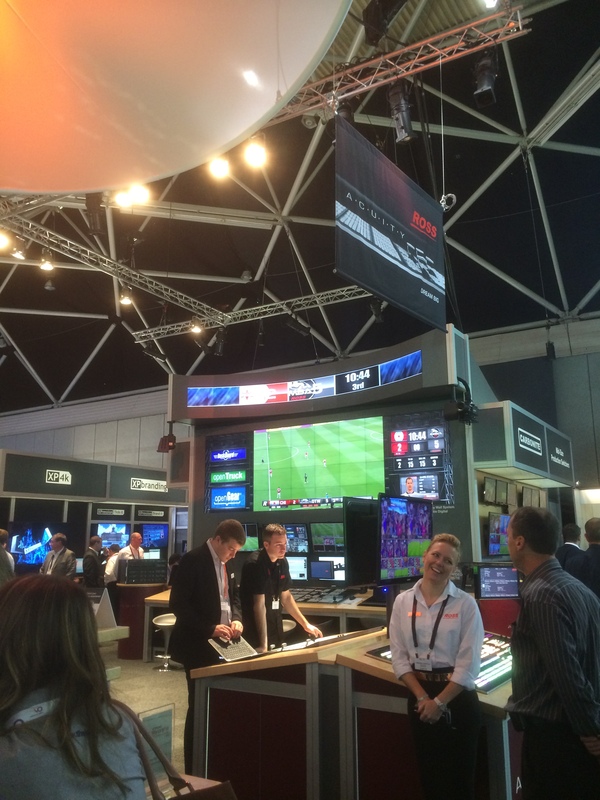 IABM – IBC Wrap Up 2014! What a week it was! There was no doubts we would be busy filming and editing videos for The IABM to release, but not on the scale we anticipated! Overall, Adam Plowden Videography captured and produced at least 8-10 videos each day, an incredible 6 times more video content delivered in one week than previously in the whole of 2013! Manfrotto 546GB twin leg tripod with a 504HD head (A Cam). Canon 5D mkIII, Tamron 24-70mm, Sigma 70-200mm, Samyang 14mm, 35mm, 85mm, Canon 100mm L.
Manfrotto 755CX3G tripod with a MVH500AH head (B Cam). Canon 60D, Tamron 17-50mm, Canon 50mm. Manfrotto Hydra Arm and super clamp. Zoom H6, Sennheiser ENG-G3 RxTx kit, Roto-mic. I had to have the above tripod gear after testing them out at my Manfrotto Takeover day, I was impressed by the fluidity of the 504 head when using it with telephoto lenses (as you can see above), however for lightweight, portable and quick ‘run and gun’ filming, the 755CX3G is a cracking go to set of legs. (Pictured above with the ProMediaGear Arc-Slider) and 701HDV head. My main camera was: Canon 5D mkIII, and I was frequently using the Tamron 24-70 F/2.8 VC and Sigma 70-200 F/2.8 DC OS for ‘go to’ lenses around the show. They have a stabilizer in the lens, which means that shake and wobble can be eliminated. I also purchased the Canon 100mm F/2.8L macro lens before the trip for detail shots, but I fell in love with it for capturing everything; crisp and beautifully shallow portraits too. For establishing and wide shots, the Samyang 14mm T/3.1 cine lens came into it’s own. On a full frame camera it has a huge wide angle view allowing to capture the biggest of expanses with clarity. Things are gearing up at the RAI; exhibitors are flooding through the doors, the stands are quickly being finished and the equipment is on display. 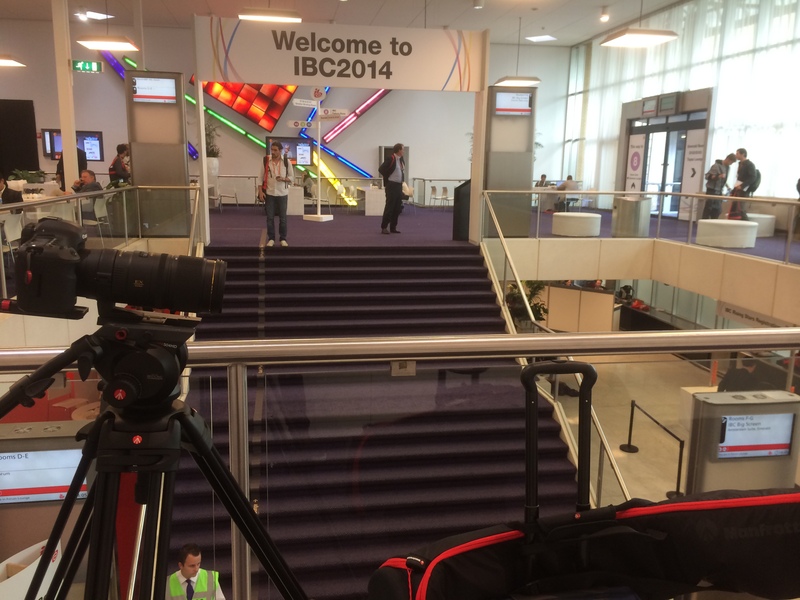 IBC Show 2014 is getting ready to open its doors to 50,000 broadcasting, media and IT professionals from across the globe. We began filming the exterior the the RAI with visitors entering the venue and registering in the main foyer; the arc slider and 14mm lens create a wonderful moving perspective. After a short explore around hall 10 and 11 we made our way to The IABM Members Lounge to film an exclusive interview with Peter White, CEO of The IABM. The IABM is a global broadcasting organization, representing nearly 80% of the broadcasting industry. The members have access to an exclusive members lounge, the IABM business conference, design & innovation awards and much more. 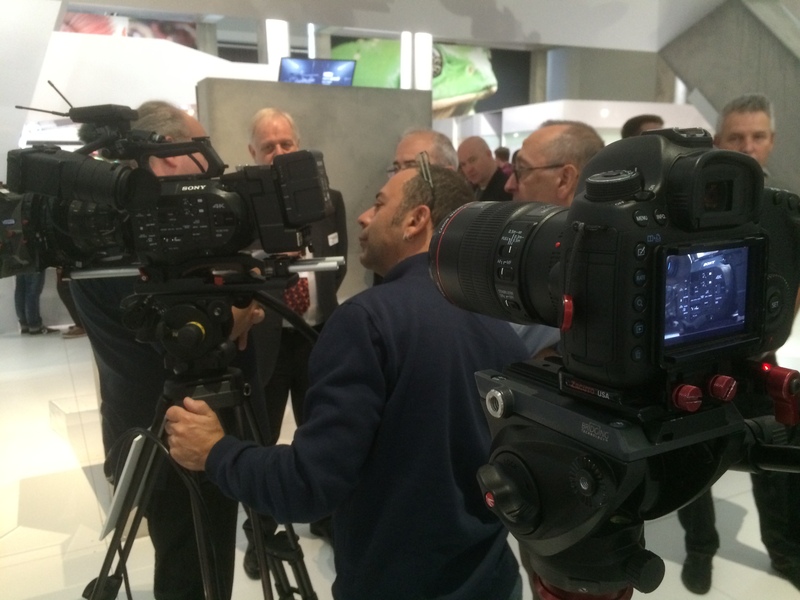 It was our job to capture the events, conferences and members at IBC to promote and inform others about the successes at the show. For the interview, I used the Canon 5D mkIII, Tamron 24-70mm, the B cam was a Canon 60D with Canon 50mm F/1.8. For a reliable audio source I used the Zoom H6 (multi-channel recorder) with the MS mic attachment, as well as the Sennheiser ENG-G3 wireless mic kit; this was so I could attach a lav mic on the interviewees for clear sound. Yes, this did mean throughout the week we had different video and audio sources, but Red Giant Pluraleyes aided greatly in syncing up the V&A for editing in Adobe Premiere Pro CS6. 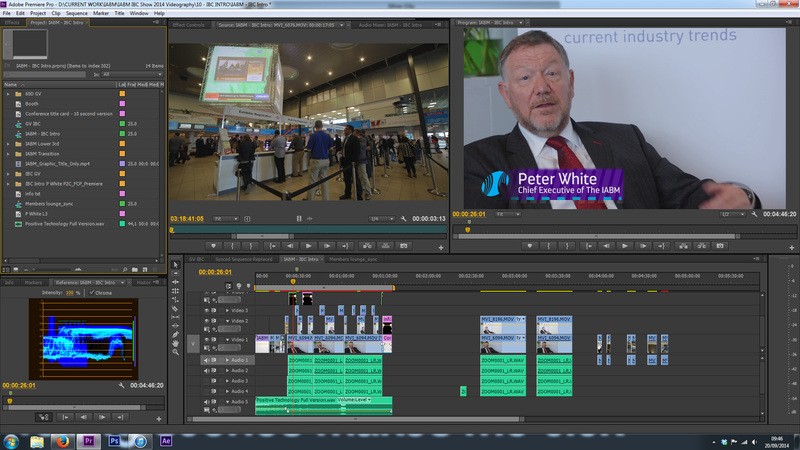 Editing the IBC Intro video with Peter White on my laptop, yes, Windows laptop! 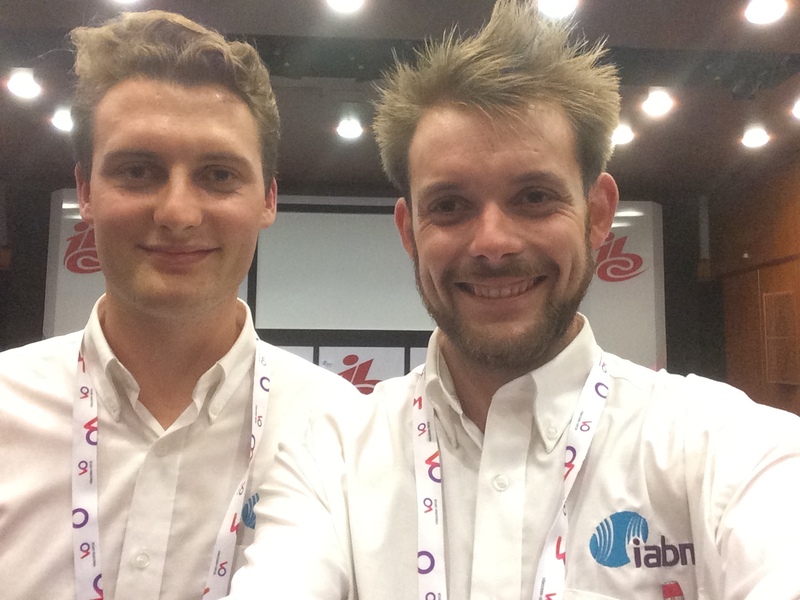 After capturing the buzz and excitement of pre-IBC, we headed back to our hotel to edit the intro video for the IABM members to see. The editing was fast, but the uploading was terrible via Wi-Fi, having learned our lesson, we uploaded the rest of the videos in the press room at IBC instead! Unfortunately, the video is only viewable for IABM members, so here is a quick screenshot. 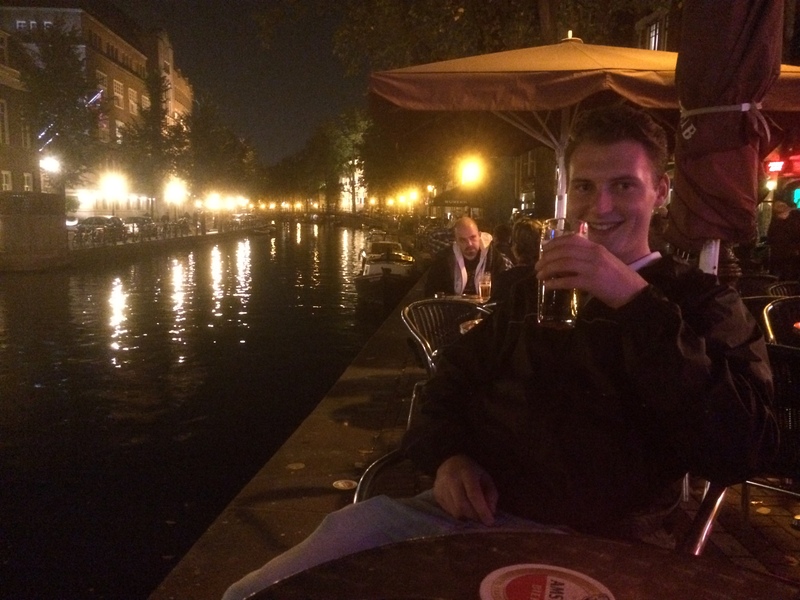 Later on, we ventured out into the city of Amsterdam. It was Glen’s first time, so I look him for a tour around the sights. Day 3 – Friday 12th September – IABM Business Conference ‘The Future of Broadcasting’ and member interviews. It was an early start on Friday, we arrived at the RAI for the IABM business conference at 6:45am to set up and capture the members breakfast, the conference and the post networking before the show got underway that day. For added motion, I used the ProMediaGear Arc-slider for some of the opening shots, but the main conference was shot on 3 static cameras. For a mid shot of the speaker, I shot on the Sigma 70-200mm, and for a wide I used the 60D with the 17-50mm. Glen was filming from the front for a reverse angle on the 60D and Canon 100m L, which captured some stunning reaction shots of the attendees in low light. Unfortunately, this video is only available to watch for IABM members. 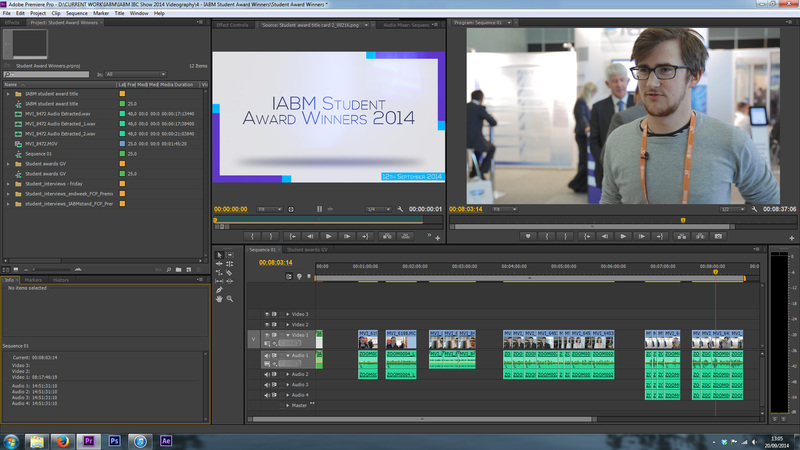 I then jetted off to The IABM stand to meet the new winners of the Student award from The IABM (I won last year), to capture some interviews with them about their study and what they are looking forward to at IBC! 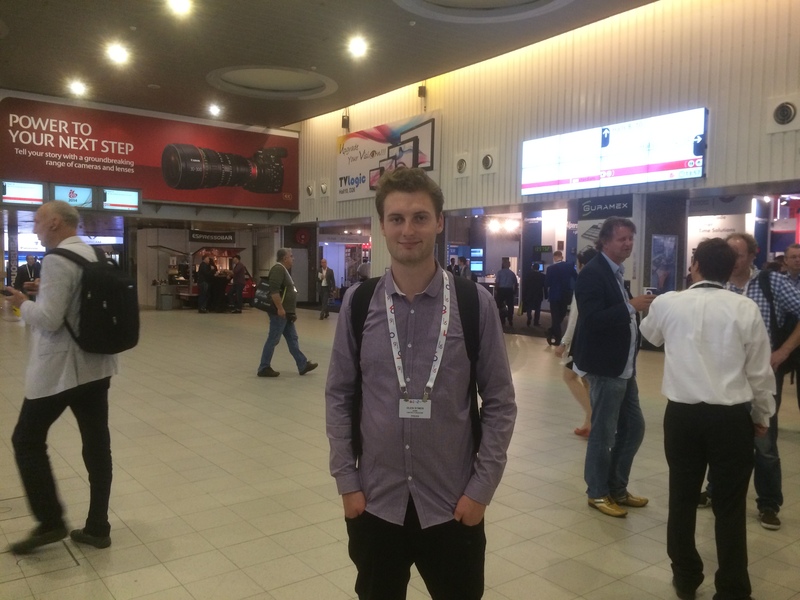 We were already half way through our IBC experience when Saturday struck, after a successful few days of filming and editing we geared ourselves up for a long day ahead. 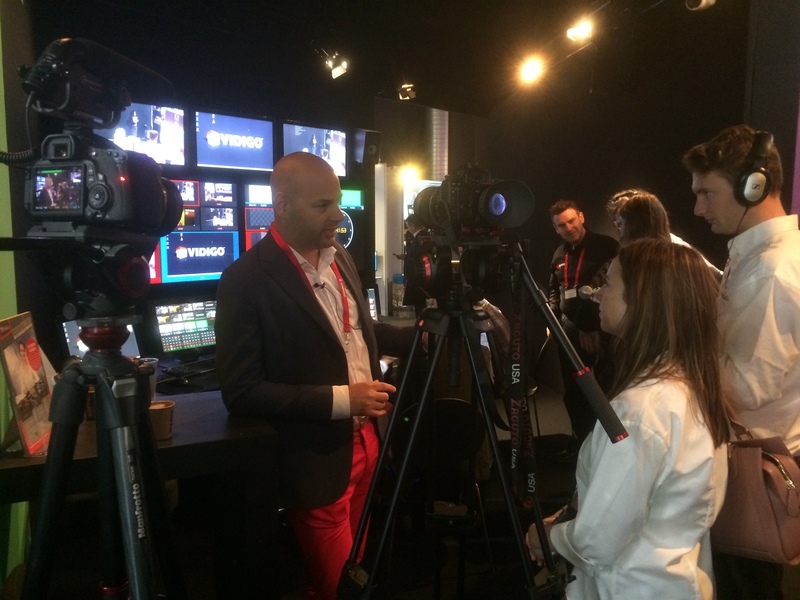 The day begun with a selection of IABM member interviews from around the show, including; Blackmagic Design, Avid, Newtek, Sony and many more. 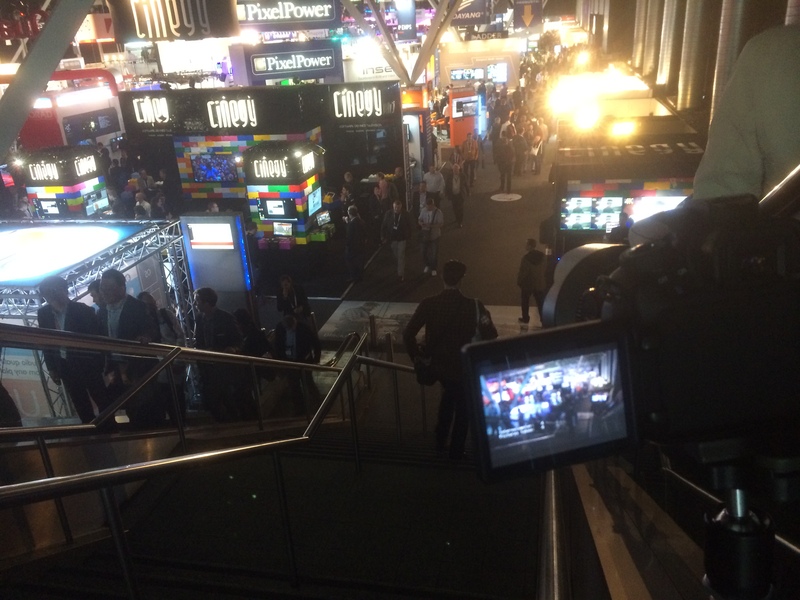 If you have been to IBC or NAB before you’ll know how long it takes to get from one place to another, but with video kit it was a challenge to navigate around the thousands of people at the show! I was intrigued by the Sony A7s, a full frame SLR with great low light and DR features.. There was lots of hype around the camera, and I had noticed a lot of the News Shooter guys using them with Atomos Ninja/Blade recorders (we were working next to Dan Chung and News Shooter in the press room), they rated it very well in a variety of conditions and shooting styles. 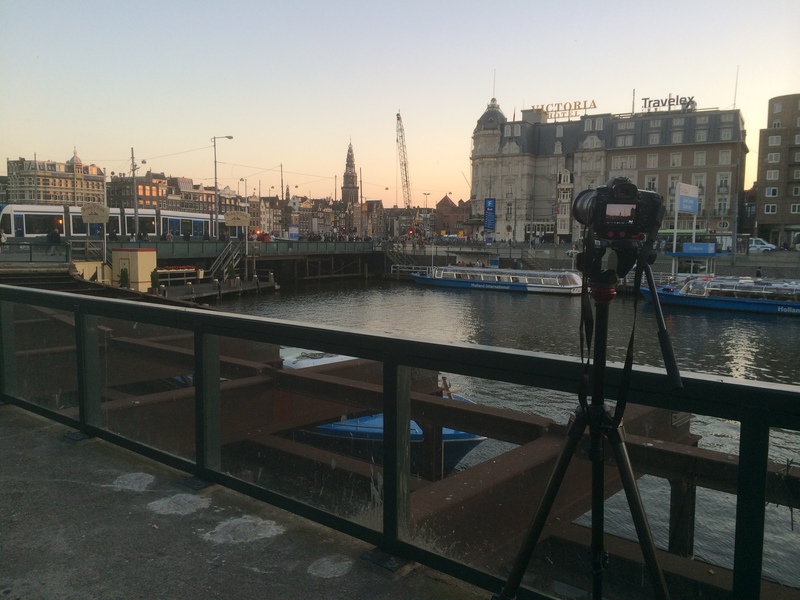 Bad luck struck on Saturday afternoon… My Canon 60D and 14mm cine lens was capturing a timelapse when it was moved/taken/stolen from where I left it.. Knowing that this would impact the video production of the D&I awards I quickly got help from RAI security to try and locate it. No luck, so later on that afternoon I borrowed a camera from an IABM member to capture a static wide shot of the awards ceremony. Luckily, when I arrived home I got a call from the RAI security who informed me they had found my camera! We then got set up and prepared for The IABM Design and Innovation Awards 2014, celebrating and awarding outstanding technical developments in the broadcasting and media industry. Before IBC I edited and produced the 9 nominee category videos and graphics presented throughout the awards. 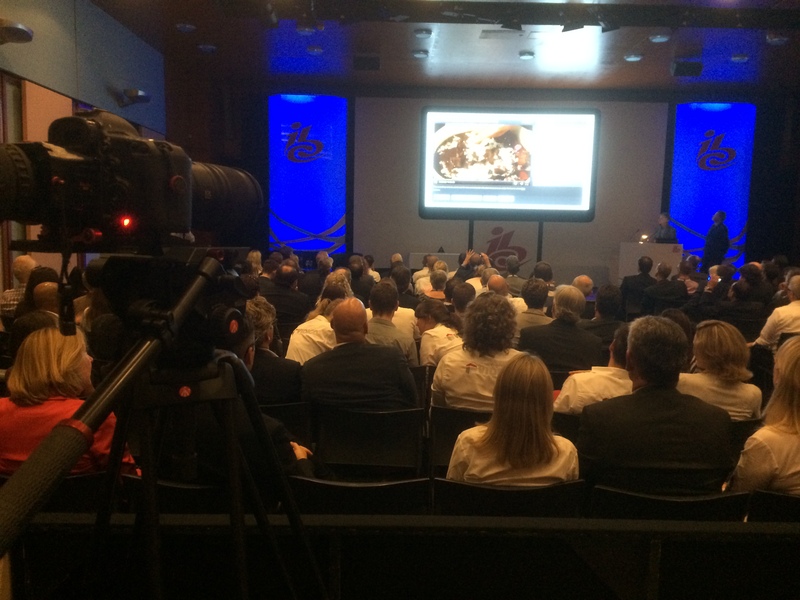 Using the same setup as the IABM conference (A cam – Tele, B cam – wide, C cam – reactions) we captured the night in full, showing the excitement and buzz around winning the awards. I got to have a quick chat with some of the winner companies too! 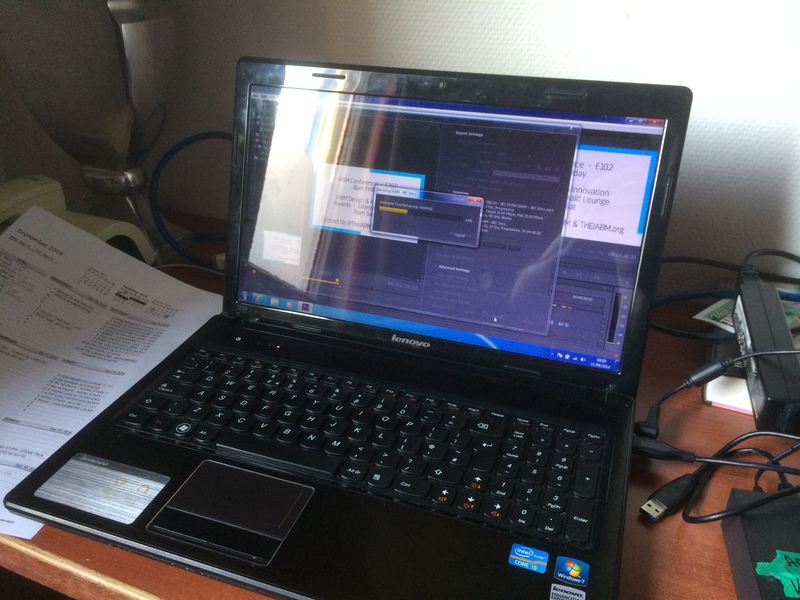 The realities of working 12-14 hour days were catching up with us when we returned to our hotel to ingest and back up the footage. Finally, but 1:30am on Sunday all of the footage was synced and ready to be edited. At that point, we both thought its time to call it a day. 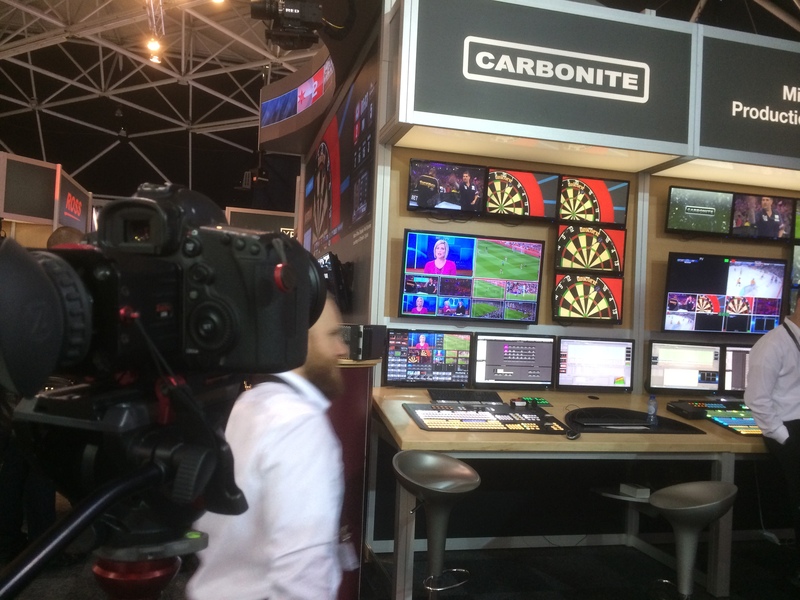 By Sunday, the main haul of event capture had been completed, with the remaining tasks being mainly interviews with members around the IBC show. 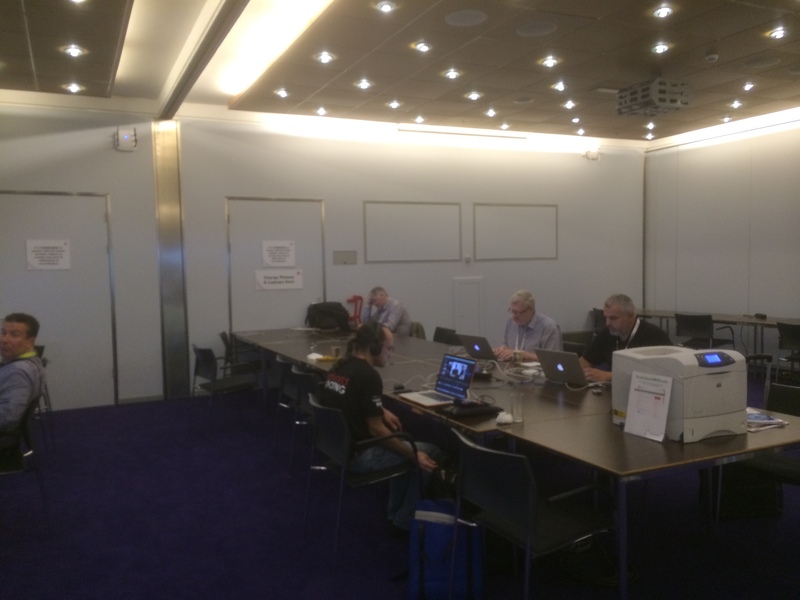 As our editing ‘system’ had worked so well previously, Glen stayed in the press room using both our laptops to edit, export and upload the winner videos from the awards while I conducted interviews with more exhibitors and IBC members. I had a great time at the Atomos booth interviewing Jeromy the CEO about the new Shogun for 4K recording and the power pack! Later that day I bumped into Joe, my old uni housemate who was visiting the show for a day. 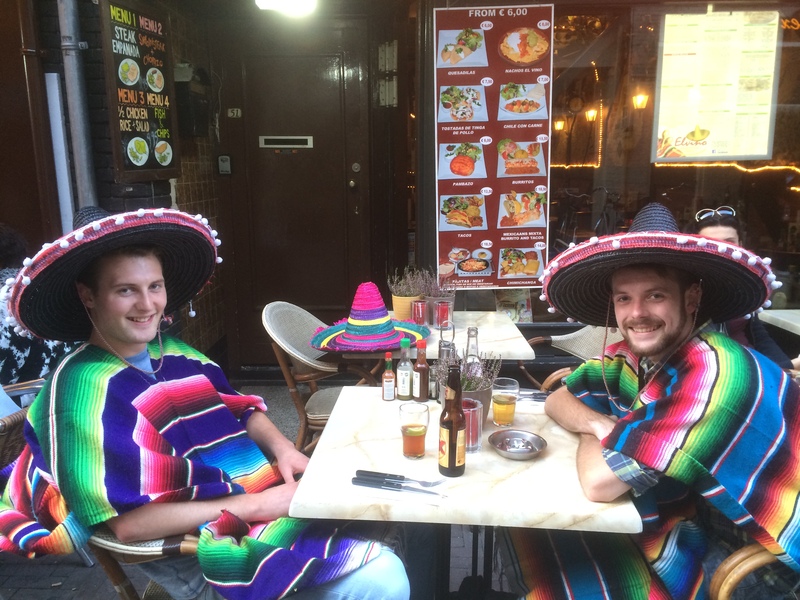 Later, Glen and myself went for Mexican for dinner and met up with our hotel receptionist, Klaudija for a few drinks in Vondelpark! At this point, I was completely over my missing 60D and the tiredness. 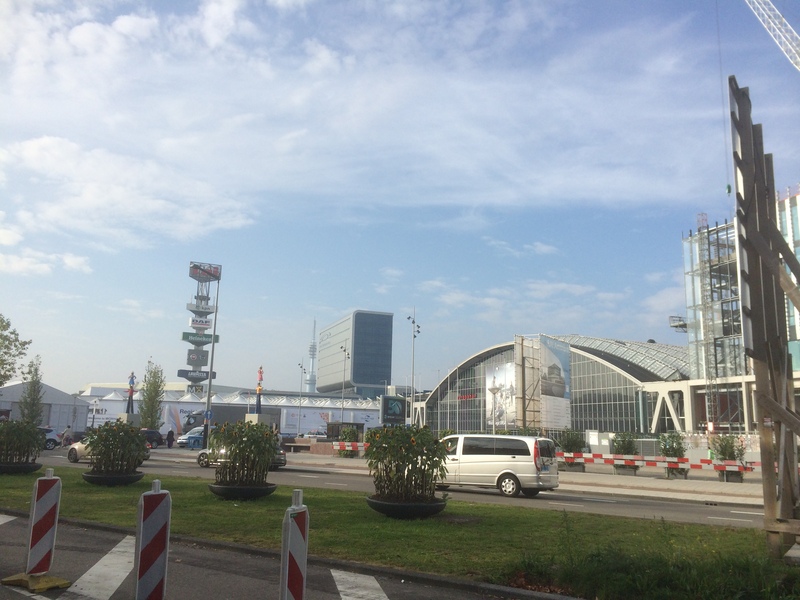 Visiting IBC and Amsterdam for work is a very rare opportunity, so we plowed through and continued to produce great day by day coverage of the show for The IABM. Glen, bless him saw less and less daylight each day! Arriving at IBC a little later than usual, Glen and myself parked up the the press area and set up the laptops to upload the previous days interviews to vimeo. 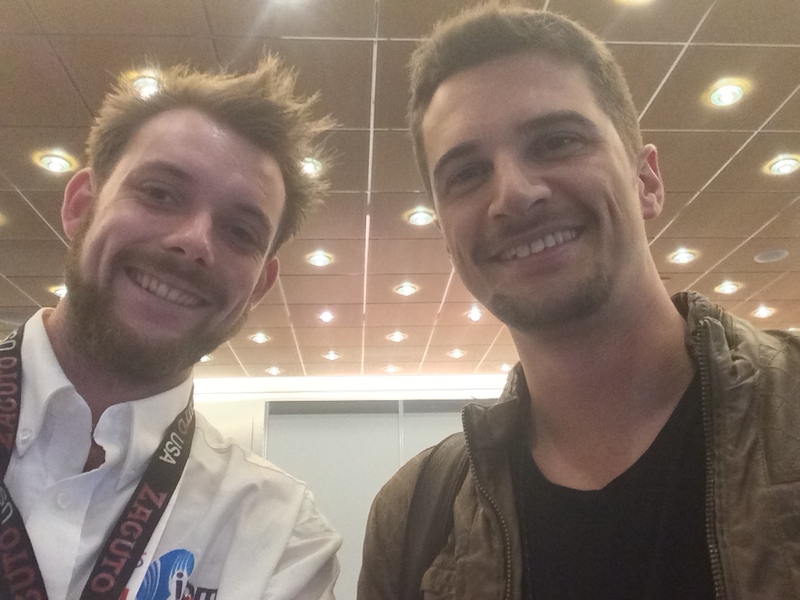 Before we headed out to Steve Warners talk at Rising Stars I bumped into Nino Leitner who was off to Photokina that afternoon, so I grabbed a quick pic! Nino had been very busy with Cinema 5D coverage of the show producing their ‘On The Couch’ series with Philip Bloom, HaZ Dullul and more. 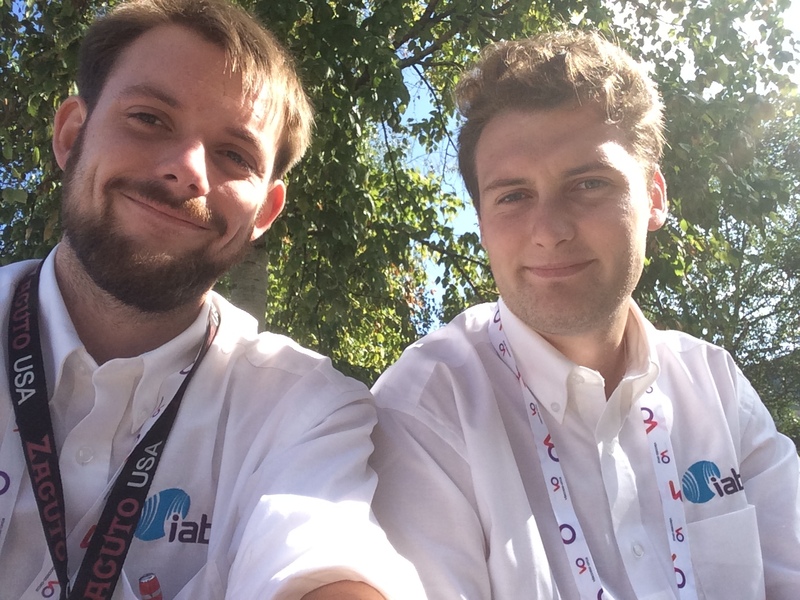 At this point, we had captured around 350Gb of video footage and delivered numerous interviews and event videos for The IABM, they were very pleased! We headed over to The Rising Stars lounge; a part of the show dedicated to young professionals in the industry where Steve Warner (training manager of The IABM) was doing a talk on CV’s and representing yourself. Even for me, it was quite interesting to hear what recruiters actually look out for and research! 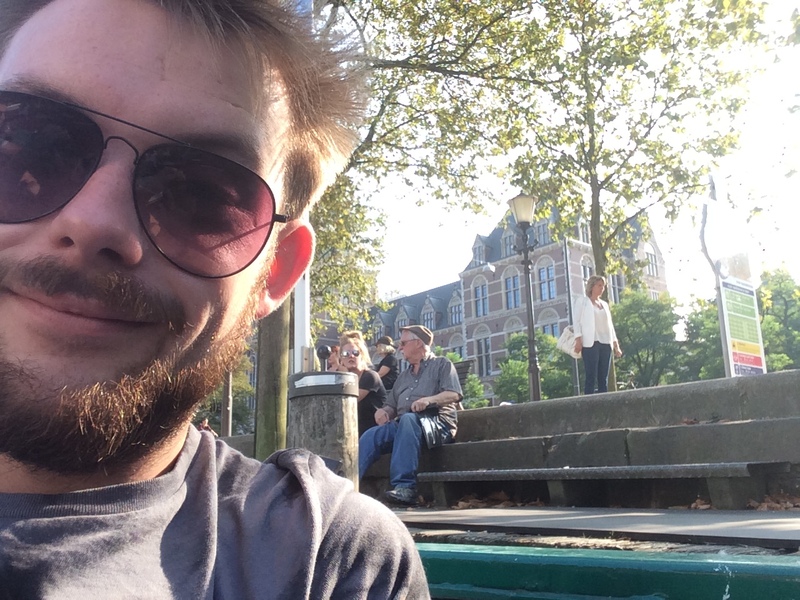 The team then split so I could conduct some interviews with The IABM student award winners, and with a couple more members for The IABM annual conference in December. 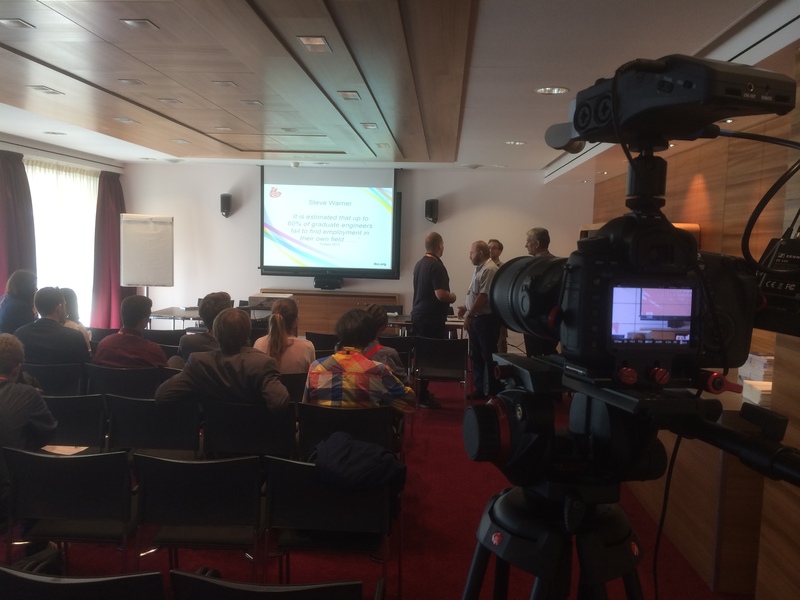 It was a short and sweet day; shooting multi-cam on talks and conferences made editing fairly straight forward so we were able to deliver the videos pretty much on the same day. Glen did an awesome job and editing videos out quickly. while I was filming more content! Day 6 was our opportunity to capture the last interview and glimpse of the show until next year. As we were interviewing members and covering events, we didn’t get to see that much of the show itself, but made time to visit some cool stands before we left on Tuesday afternoon. We visited the Ross Video stand, to interview Pete Ross for The IABM annual conference, it was interesting to hear about how the company developed the first vision mixers and lead the way for broadcast production throughout the 20th century, definitely worth recognition. 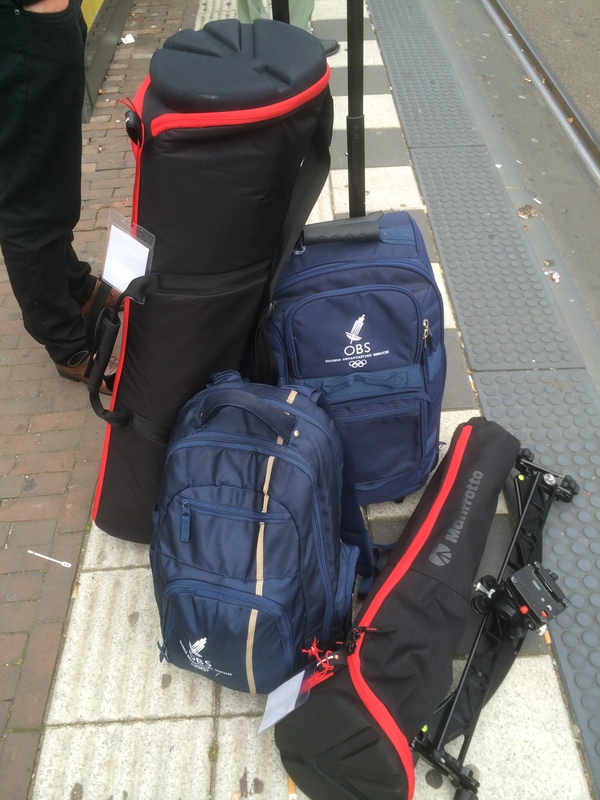 saying goodbye to the IBC press room! 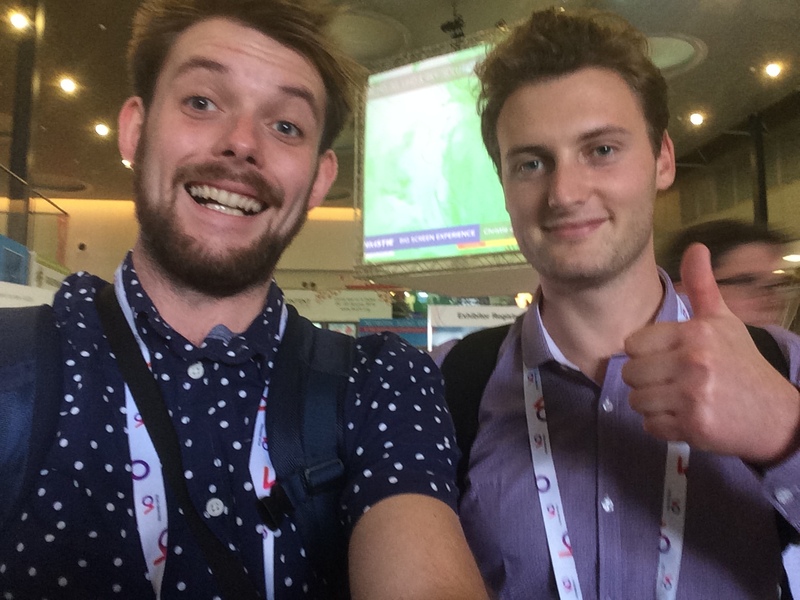 Glen and Adam leaving IBC 2014 for the last time! Well, what an incredible time it has been.. We captured over 400Gb of footage and audio, combined with hours of graphics produced before the show. We delivered (and are continuing to deliver) over 55 videos online for The IABM. What a show, what a success! 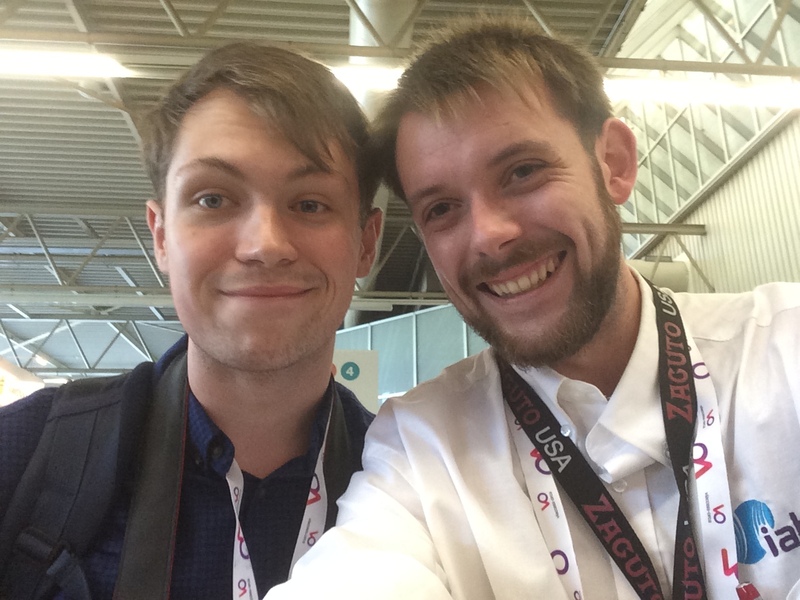 My huge thanks go to the other half of the team, Glen Symes for his help and dedication to getting the videos out, and dealing with my stresses of production and post throughout! 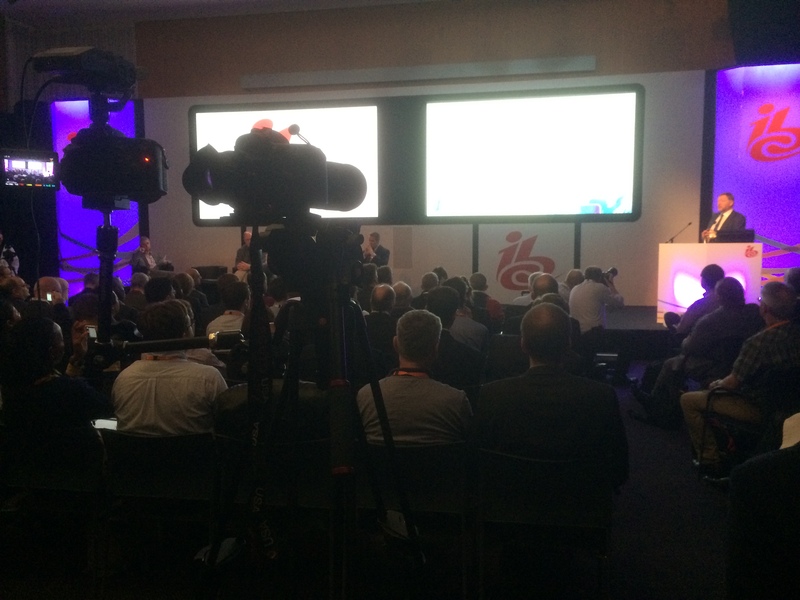 Also thanks to The IABM for giving me the opportunity to cover The IBC Show 2014 for you. Ooh, I almost forgot I stopped by the Vitec Videocom stand to say hi to the Manfrotto reps and return the tripods and grip we borrowed for filming. While we were there I asked Sofia for a short piece to camera on the new Manfrotto tripods and kit; I was over the moon to hear a new follow focus has been developed to go with the SYMPLA rig! I’ve met up with old friends, and made many new ones. 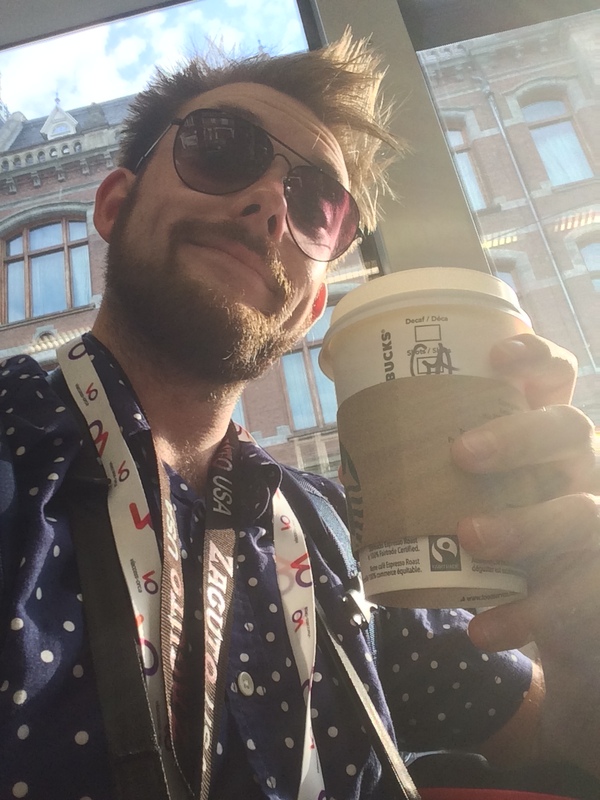 My experience has been overwhelming this year, now I cannot wait to do it all again at The IABM Annual Conference and hopefully IBC 2015! 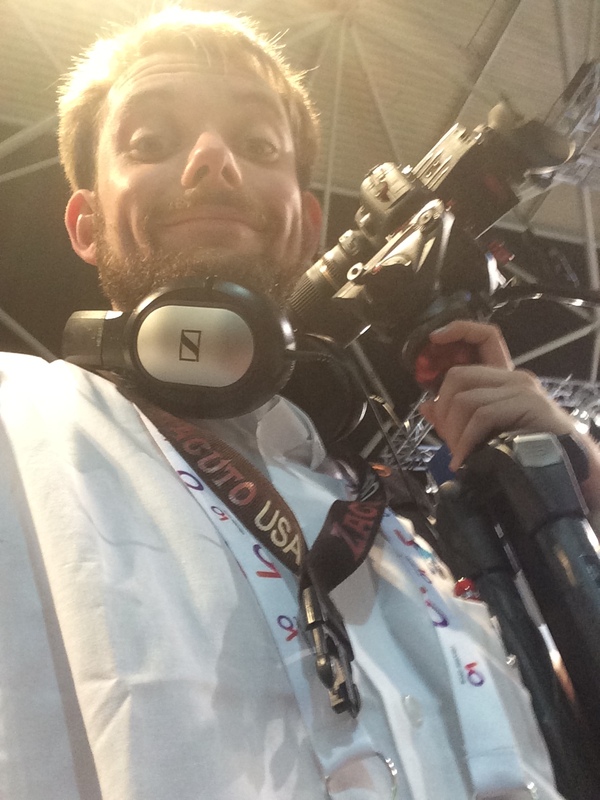 If you have any questions about how we produced the videos, or IBC then drop me a tweet @Plowman91 or comment! I’m still editing and uploading more videos, so keep updated by checking out The IABM website for more videos and content, and I will have an IBC 2014 wrap up video coming soon. UNTIL NEXT YEAR! 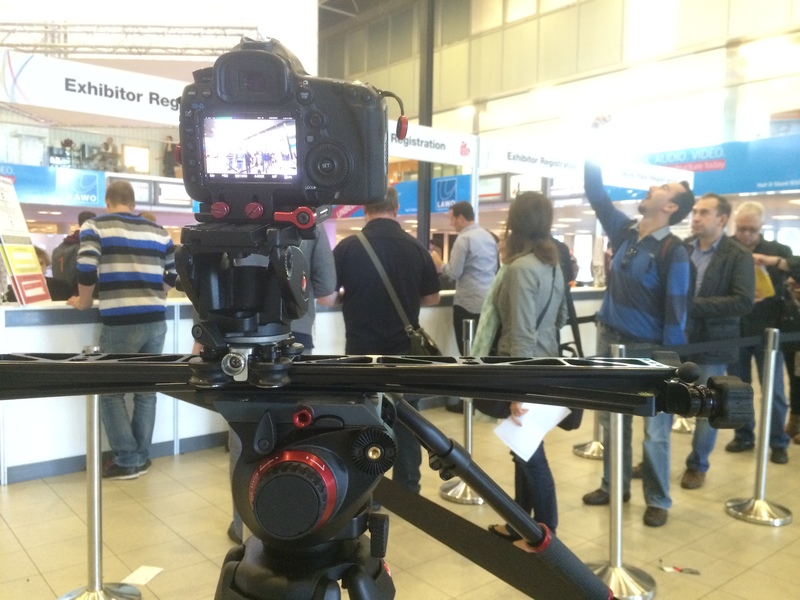 IBC Show 2014 Roundu… on IBC Show 2014 Roundup!